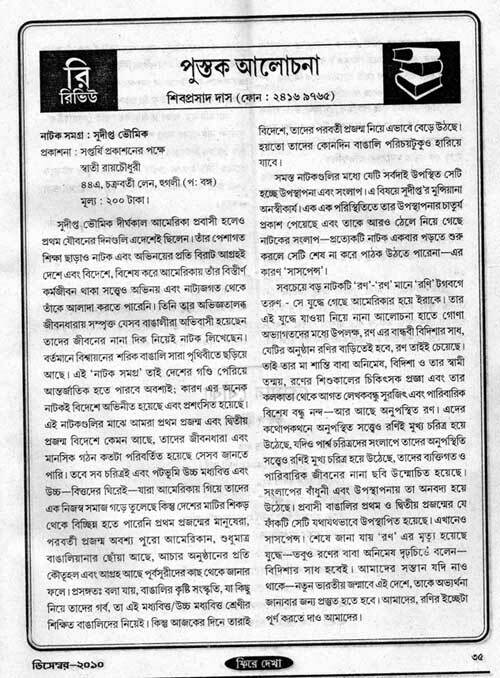 If you are interested, you may read a review of my collection of plays (Natak Samagra) in Parabaas.com 47th issue. The link is given below. Please note that your browser should be able to render dynamic font. 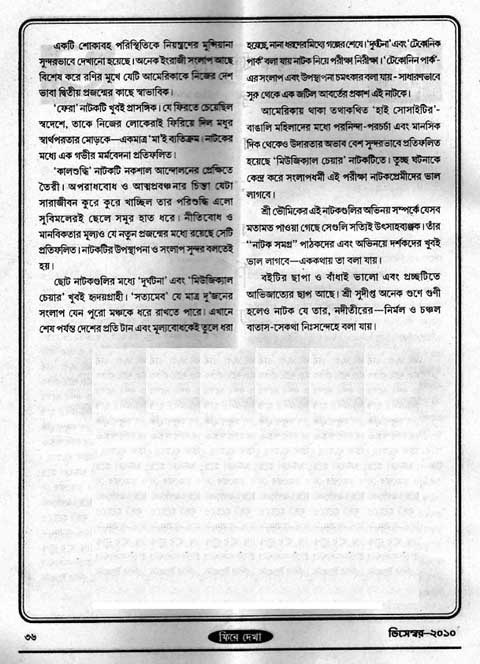 Here is what Parabaas suggests if you cannot see Bangla fonts. 1. If the URL shows as “http://parabaas.com/…”, try first by inserting a “www.” before “parabaas”–i.e. “http://www.parabaas.com/…”. 3a. If using Firefox browser, from the Menubar choose ‘View’ -> ‘Character Encoding’ -> one of the ‘Western (Windows)’ fonts displayed in the list. ‘Use document specified fonts including dynamic fonts’. render dynamic fonts. Netscape 6.2 is also unable to render dynamic fonts. 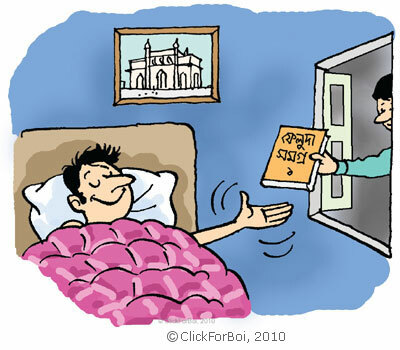 A review of my collection of plays, “Natak Samagra” was recently published. Read them below.